Articles are accessible directly from the journal home pages, and also through citations in CINAHL and other health science indexes. If you have questions about any of these resources or require further information, please contact Sarah Hughes (973-720-3190), Library Liaison to the Nursing Department, or Richard Kearney (973-720-2165), Electronic Resources Librarian. The Cheng Library's recent purchase of 37 new reference titles on the Credo Reference platform brings our online full-text reference collection to over 1,030 titles from 125 major publishers, just in time for a new semester and new research products. Our customized collection is built to focus on the majors and programs offered at WPUNJ, and it offers one of the best starting points for research projects in any subject area. The collection, which is easy to search and browse, features specialized encyclopedias, subject and biographical dictionaries, directories, handbooks and guidebooks, almanacs and chronologies, statistical sources, atlases, primary source collections, and other resources covering every field of study offered at the University. Most of the titles in Credo Reference are written by subject experts to provide concise and up-to-date overviews of topics, providing great introductions and research starters. Students can use Credo Reference to explore possible research topics, get oriented to the major questions and findings, pick up useful search terms for use in other databases, and obtain book and article recommendations for moving on to the next stage of a project. Although Credo Reference can be useful at any stage of an assignment or research project, we invite faculty and students to make use of it early in the semester to get your work off to a great start. Please contact Richard Kearney, Electronic Resources Librarian, at 973-720-2165 or by email if you have any questions about Credo Reference. From now through the end of the spring semester the Cheng Library is offering trial access to the Morningstar Investment Research Center, which offers real-time access to comprehensive data and independent analysis on thousands of investments, spanning mutual funds, stocks, exchange-traded funds, and closed-end funds. In addition to data on stocks and funds, the database provides access to analyst reports, industry and sector reports, and an archive of newsletters written by Morningstar's financial experts. The database's "Portfolio" tool enables users to construct and evaluate a set of investments, interpreting asset allocation and comparing its holdings to industry standards. The database's "Help and Education" section provides both investment training resources and help on using the database. If you have questions or need more information, please contact Richard Kearney (x 2165), Library Liaison to the Economics, Finance, and Global Business Department. 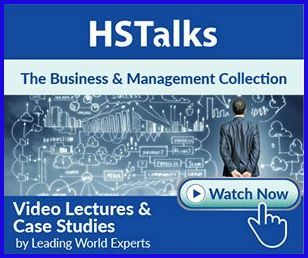 The Business and Management Collection, produced by Henry Stewart Talks (HSTalks), consists of over 1,000 video lectures and case studies by experts from commerce, industry, the professions and academia. The Cheng Library is providing trial access to the collection through April 30. Traditional format lectures with high quality graphics - The entire lecture as well as extracts can be embedded in course notes and online learning systems. Case study interviews - They are designed to explore how different participants in commerce and industry, from start-up entrepreneurs to large corporation executives, confront the challenges they encounter. Additionally, all videos are accompanied by suggested topics for discussion and individual and group projects. Extended form case studies - These accounts of real world experience describing what was done, how, when and with what consequences can be used as prompts for in-class discussions. Bite-size case studies - These short descriptions of real world commercial activities come with suggested topics for consideration and discussion. We invite you to try the HSTalks Business and Management Collection to see what it can offer you and your students. Please contact Cara Berg (email or 973-720-3189) or Richard Kearney (email or 973-720-2165), Library Liaisons to the Cotsakos College of Business, if you have questions or comments about this product. The Cheng Library is pleased to announce the acquisition of a major new electronic resource this semester. The American Council of Learned Societies Humanities E-Book Collection contains over 4,600 full-text, cross-searchable books in the humanities and social sciences selected by scholars for their continuing importance for research and teaching. The collection includes titles from over 100 publishers of scholarly and academic books and covers a wide variety of humanities and social science disciplines. Among the subjects covered are: archaeology, art, Biblical studies, environmental studies, film and media studies, folklore, hip-hop studies, history, Jewish studies, law, LGBT/Queer studies, linguistics, literature and literary criticism, medicine, musicology, performance studies, philosophy, political science, religion, science/technology, sociology, and women’s studies. A complete title list (in Excel format) is available here. The collection can be browsed by author, title, and subject. Full-text and bibliographic searching is also supported. The database provides page images for online reading as well as plain text, and 10-page excerpts can also be downloaded in PDF format. Brief videos illustrating How to Search the Humanities E-Book Collection and How to Navigate a Book in the collection are available to get you oriented quickly. Bibliographic records for all of the books in the collection are available in the Cheng Library catalog and in ChengFind, providing multiple points of access to individual titles, and URLs are available to create links to individual titles in Blackboard for reading and research assignments. We encourage you to try this collection and to consider incorporating it into your courses as appropriate. Please contact Richard Kearney (email or 973-720-2165) if you have questions or need more information about the American Council of Learned Societies Humanities E-Book Collection. It's a new year, a new semester, and a new set of learning challenges for students. For those courses requiring research papers and projects, one of the Cheng Library's most useful research starting points is Credo Reference's Academic Core database, a full-text collection of over 800 high-quality reference works, including single- and multi-volume specialized encyclopedias, dictionaries, directories, chronologies, handbooks, and atlases. Sometimes the biggest hurdle in a research project is getting started - deciding on a topic, getting a general orientation to it, coming up with a good research question, and getting tips on where to look next. The best reference works are designed to meet all of these needs. Written by subject specialists who presume little prior knowledge on the part of the reader, the materials in Credo Reference's Academic Core will help students get on the right track at an early stage in their research, providing the essential background and context, clear definitions, important search terms that can be used in other databases to yield high-precision results, and useful bibliographies for pursuing a topic in greater depth. Covering every subject area in the WPUNJ curriculum, it's one of the best first resources to use for research projects on any size. It's easy to create a link to Credo Reference's Academic Core in Blackboard, or to create links to any individual title in the collection. Please contact Richard Kearney (email or 973-720-2165) or you have questions or need more information about Credo Reference's Academic Core.